?My principle is that starting on the first day after your election you work 24/7 as if the elections were tomorrow. This is why you were elected and it is your mandate to be amongst the people and with the people.? 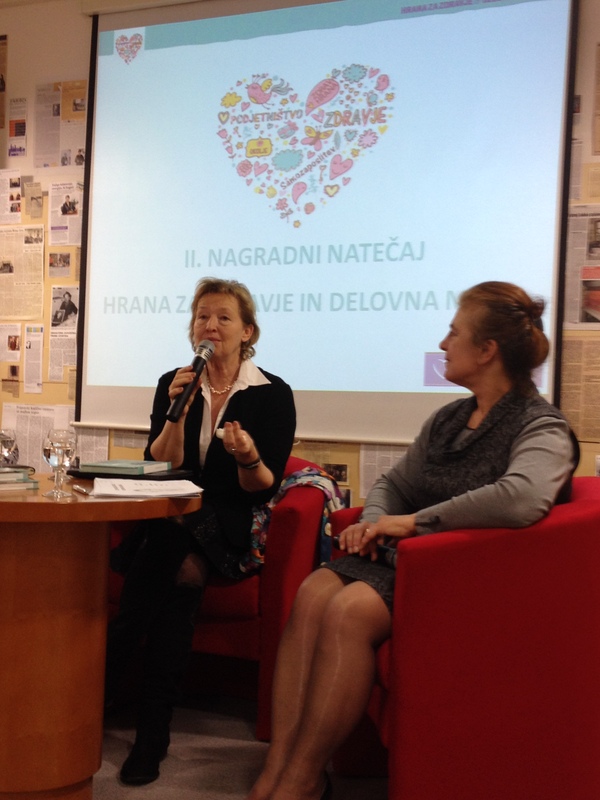 On Friday, 14th February 2014, MEP Mazej Kukovič participated in a round table discussion Food for Health and Jobs, which was organised by her Kickstart Europe (Požen? Evropo) team in cooperation with the women?s committee of MO SDS Novo Mesto. The goal of the round table was to present the MEP?s attempts at bringing European politics closer to everyday life in her home country. The basis for her efforts is the project Food for Health and Jobs, which seeks to find opportunities for innovative jobs, especially for the young, in the interplay between the earth, food production and modern ICT trends. ?In Europe today, there are 5 million unemployed young people. 30.000 of them come from Slovenia. On one hand, it is the obligation of politics to create an environment conducive to creativity. This includes European, state and local politics. On the other hand, no goals can be reached without personal motivation and people seeking solutions on their own. It is our youth that has the strongest and biggest creative potential and the willingness to make it happen. They often see things that we no longer notice or that we do not consider important. Our youth often has crazy ideas and we need to listen to them.? The goal of MEP Mazej Kukovič?s project Food for Health and Jobs is to encourage both the young and the old to realise their unique and innovative ideas. The project also underlines the fact that food production remains an often overlooked opportunity for work or self-employment. It is with this purpose that a second contest of Food for Health and Jobs was started, with the goal of promoting the realisation of business potential offered by the earth. She also pointed out several very important policies of the European Union intended to give young people a job. ?First is the youth guarantee scheme which is worth ?8 billion. From this, Slovenia has already received ?10 million. The second is the Eurostar project, which is meant for those willing to take the risk of starting their own business. Last is the programme whose goal it is to ensure young people gain study experience in other European states. The European Union endeavours to create an environment in which the young would succeed. ?